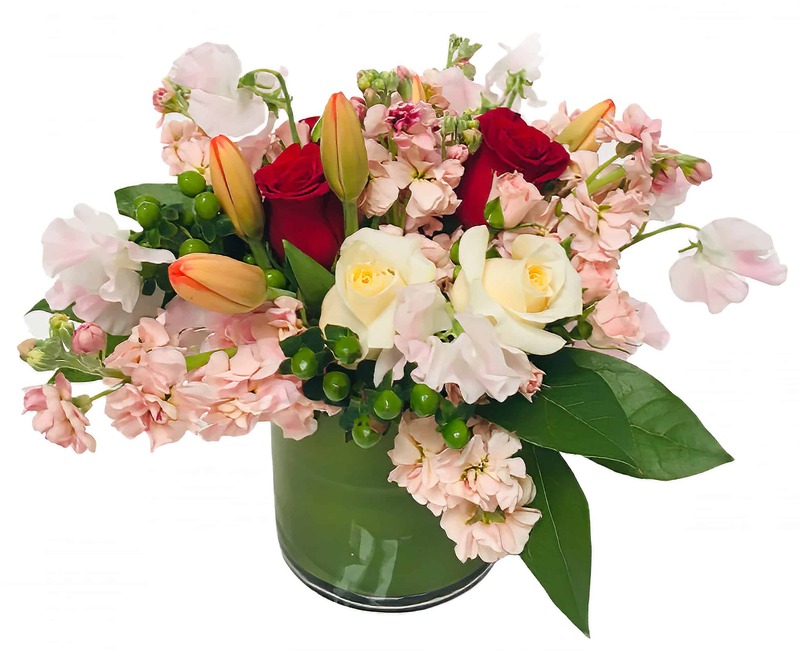 This good-looking floral arrangement is almost edible with its Strawberry Creme colored Tulips and Sweet Peas and its Orange Creme colored Roses swirled in with a mix of Cream colored Stock. Youâ€™ll definitely be left a sweet smile with this arrangement. Enjoy the flavor yourself or share it with a friend; either way, itâ€™s sure to leave your mouth watering!